Show me the bunny!!!! 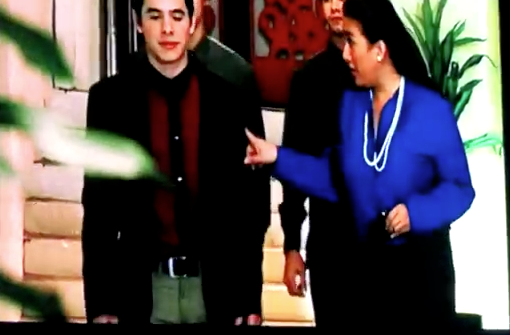 Most epic Nandito Ako episode yet! William: "Pip, pip, I'm Team Anya." Harry: "You're drunk bro', Team Holly all the way!" "Josh Bradley?? Yes, we've had a few ... dates." "By jove, Josh was right, this halo-halo is aMAZing!" "Hey, I'm Team Chit too!" plus I'm training for a new Olympic event ... limo bunny hop. Chit tries valiantly to get Josh ready for his dinner appointment…. "Be kind to your date. Filipinos can be very... conservative." …. we interrupt regularly scheduled programming to…. DOUGIEEEE!!!!!! *New Nandito Ako drinking game: Every time you hear an Archugrowl, do a watermelon juice shot. 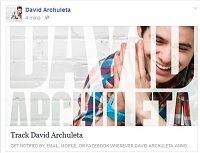 This entry was posted in Utter nonsense and tagged David Archuleta, Nandito Ako. Bookmark the permalink. 36 Responses to Show me the bunny!!!! Most epic Nandito Ako episode yet! Ha! Ha! Love it!! Thought sure you would tie in the IHOP! Clever !! Josh and Anya definitely Mesmurized. Great Episode!! I love this so much! Funny stuff! Absolutely dying here hahahahahahah Every caption- every gif-every pic!!! Priceless!! Thank you Deb!! I’m so excited that the Royals love Josh. I’d love to know what the Queen thinks. Everytime I think the script leaks can’t get any better, you keep outdoing yourself. My fav today is the cottontail comment LOL! Really terrific stuff! Oh my — great stuff! — and it’s a good thing my condo has “party walls”. Great stuff! Had me really, really, really mesmeriiiiiiiiized….and laughing my cottontail off! I noticed that too – he jumped into that limo with that bunny suit on like a gazelle. “New Nandito Ako drinking game: Every time you hear an Archugrowl, do a watermelon juice shot.”…lol!!! What a great pic of him and Jasmine! Josh, they are both so photogenic! So hilarious TOfan!! Epic bunny episode for sure, laughing my tail off at this too! Glad the Royals had a chance to tune in, lol. Definitely one of my favourite scenes….Josh running in a bunny suit, his epic fall which propelled his big bunny feet up in the air and then yes…his very agile hop into the limo, haha. The gifs are fabulous to watch, this whole “show me the bunny” is fabulous too, thanks for the laughs, what fun! Hahahahahhahhahahahahahahahahah….epic. Love ya! Oh, and I always cue romantic music as well whenever I see a man in a bunny suit. Love is a many splendid thing. You are going to get me in big trouble here. It’s midnight and everyone else is asleep in this house and I am about to fall out of my chair trying not to laugh out loud at this insanely funny story. What can be better than David in a bunny suit? Only TOfan’s epic bunny tales. Thank you. And I was quite proud of our little “bunnyman” jumping into that limo. He reminded me of a Texas Jackrabbit leaping for his life with the coyotes hot on his tail. Secret Bunny Man, our hero…hahahahahaha..with a Kate, William and Harry twist, just delish-i-ous! So now we have an address! Do they realize how much MAIL he will get??? ay curumba! I thought of that, refnaf. The deluge of letters coming to him now, when he’ll have a limited amount of time to read/respond. But I’ll take my carrots when they are supplied to me. LOVE the Bench photo shoot and TOSOD track. LOVE TOFan’s brilliance and willingness to share such brilliance. Lately, I feel like I’m in the Christmas morning of David fandom — lots of goodies to be followed by a wait until the next. I can’t even imagine the anticipation of, say, February, 2014. 🙂 It’s gonna be deeeeelicious. KathyH, Bwahahaha! “I’ll take my carrots when they are supplied to me”! ABSOLUTELY! No questions asked! TOfan, you and your wonderful ability to write humor! LOVE IT! First chance I’ve had to get over here since your new post! Bravo, again, TOfan! Hard when you have so little to work with, huh? 😉 Those jumping jacks are cracking me up!!! & “hypnotiiiiiized” and really “mesmeriiiiiiiiized” … LOL. Thanks! Aw great photo with David, Eula and NA family. 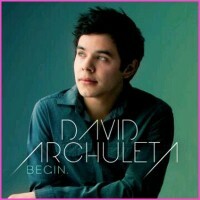 Bench photoshoot….WOW, David is such a natural…acting, modelling along with his phenomenal singing. Yes, think he was born to do it all. Loved another episode of Nandito Ako! Way to go Josh! So much fun seeing Nandito Ako and your rendition makes it even funnier. Keep it up, please. Totally hilarious. Inside snow storm, nandito ako, songs for US (as in album) about where he is going next in his life, different, cool covers and connected to what he is doing next, ONE MORE MONTH, waiting to hear what he can and can’t do, working on stuff, not overwhelmed and stressed cuz things are going really well, meet Katsu. Thx 4 posting, Kizz… tbh, that “One Month” title felt like a punch in the gut… but then couldn’t help but smile watching it and seeing him SOOOO happy! *sniff* at his more info… esp. “There will be music!” … he really is too much…. I wanted to let you guys know March is the last month I have left before I leave. Keeping busy this month to make sure everything falls into place, though! There will be music! Sorry if this is so long and rambly again. his tags are THE best! TOfan: thanks for the hilarious post!! I always get a kick out of the stuff you come up with! 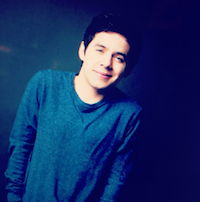 Just wanted to pass onto you guys that @WISE_RADIO is doing a feature on David on Saturday, March 3rd, 2 & 9 pm. They are an online radio station that plays music by David, Cook, Adam Lambert, Lee Dewyze, etc. 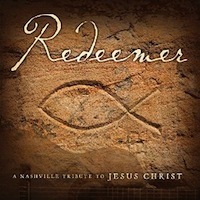 Their online link is: http://www.live365.com/stations/shynner or download their app: http://www.live365.com/index.live They have been very supportive of David’s music! You can tweet your requests for his music to @WISE_RADIO everyday/night! …”Just gotta work on my dismount” lol! mind if we just call you “toofunnyTOfan” ? TFTO? thanks for keeping the fandom in stitches aahhHAHA! Missed the last twitter trending but love that. Such a sweet, thoughtful vlog from David. Don’t think he could give anymore than he does, geesh. New music, Nandito Ako, countless videos, him trying his best to do all he can to stay connected with fans and leave us with many treasures. Think while he is gone, all will be okay. Couldn’t ask for more, honestly. What a gem he is.